Interfaces of matter and life are the focus of the new Max Planck Bristol Centre for Minimal Biology. The University of Bristol partners with the Max Planck Society in Germany to establish an innovative new Max Planck Centre for Minimal Biology in Bristol. The Centre will pursue game-changing research in the emerging field of minimal biology to address some of the most complex challenges in fundamental science. This could lead to transformative applications in biotechnology and medicine. 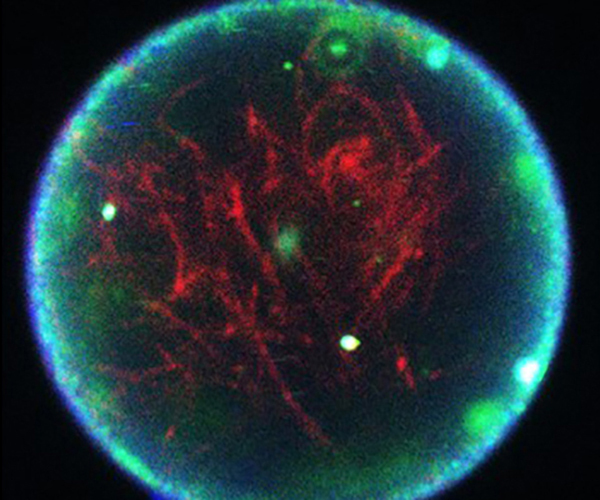 Scientists from across the University and Max Planck Society will work together in an interdisciplinary way, focusing on the development of new cell-like entities and adding new functions to living cells. 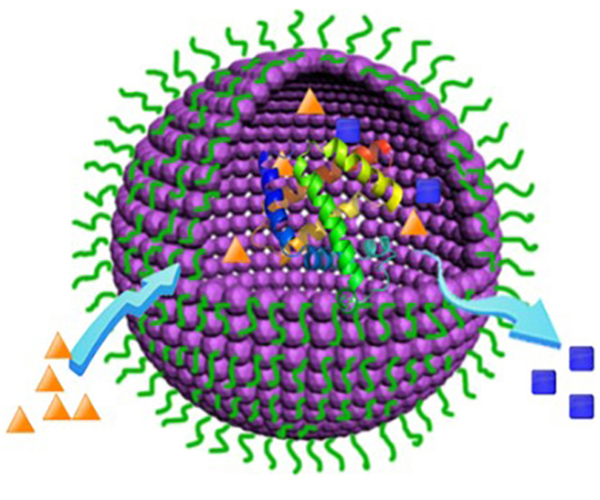 As an emerging field of science, the applications in minimal biology are wide-ranging and pave the way for new therapies that could see artificial cells programmed with specific properties to rescue diseased cells and tissue, and the engineering of bacterial and mammalian cells to improve the production of pharmaceuticals. Training the next generation of scientists to work between the physical and life sciences will be a core mission of the new Centre, which is expected to become fully operational in 2019. Led by Professors Imre Berger (Biochemistry), Stephen Mann (Chemistry) and Dek Woolfson (Chemistry and Biochemistry) at the University of Bristol, and Professors Joachim Spatz, Tanja Weil and Petra Schwille in Germany, the new Max Planck Centre will focus on several key areas. These include synthetic nanoscale biology, implementing custom-designed functionalities in proto- and living cells, tissues and ultimately organisms; protein design in living cells, whereby completely new proteins will be designed from scratch to operate alongside natural proteins; and biomedical genome intervention by engineering synthetic, virus-derived, programmable nano-devices with unprecedented capacity to enhance and repair genomes. The Max Planck-Bristol Centre for Minimal Biology will be inaugurated officially in 2019. Minimal biology is an emerging research field at the interface between the physical and life sciences. It applies principles and methods from the former to construct new systems that mimic or augment living cells and organs. Bristol BioDesign Institute (BBI) is the University of Bristol's Specialist Research Institute for synthetic biology. With wide-ranging applications from health to food security, BBI combines pioneering synthetic biology approaches with understanding biomolecular systems to deliver the rational design and engineering of biological systems for useful purposes. This is delivered through multidisciplinary research which brings together postgraduate and postdoctoral researchers, academics, policy makers and industry, whilst also engaging the public with emerging solutions to global challenges.